I am a huge fan of Dan John’s concept of Easy Strength. If you don’t know what that is, this is a quick, crude summation: Pick 3 to 5 strength training movements and perform no more than 10 reps of each movement every day for 40 days – and keep it “light.” It is an extremely flexible strength training program, if you remain in the above guidelines. You can perform a set of 10 reps, 2 sets of 5 reps, 3 sets of 3, or whatever. The key is that you never miss a rep AND you do them every day for 40 days. Anyway, what many people discover after fully participating in Dan’s Easy Strength for 40 days is that they have become stronger. They have new strength. Which is cool, because basically all they really did was show up, every day for 40 days, while keeping the movements light in weight and low in reps. It’s pretty easy…. My point to this is, the secret to getting stronger, or healthier, or smarter, or whatever is to simply show up. Every day. This works because the body runs off the “use it and build it” principle. The nervous system strives to become, and thrives off of, efficiency. In other words, the nervous system is made newer each day by showing up. Which truly means YOU are made newer each day by showing up. Which makes me ponder a bit, Easy Strength works because people show up. Original Strength, your Reflexive Strength, is built through showing up as a child, day in and day out. This is why Pressing RESET works so well. It’s showing up and developing neural efficiency throughout your entire body. Taking the 5 RESETs and performing them for as little as 10 minutes a day (total time), will build an amazing, reflexively strong body and restore a person’s strength and movement potential. 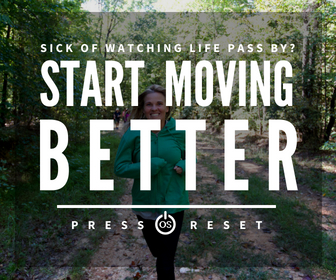 What would happen, I wonder, if a person deliberately combined Pressing RESET with Easy Strength? Hmmmmm…? Here’s what would happen: They would build the Easiest Strength imaginable. If a person Pressed RESET for 40 days for 10 minutes a day AND stacked Easy Strength on top of that for 40 days, they would create a major change, or a new beginning, and discover amazing strength potential. It’s The Easiest Strength program. Period… And, it’s crazy enough to work. Press RESET x 10 minutes (breathe with diaphragm, nod head, roll around, rock back and forth, crawl a bit). Like a Squat (keep it light), a pushup, and a TRX row, OR whatever you want to train…. Perform no more than 10 GOOD reps of each exercise, broken up however you want, and “toyed” with. Toyed with? Yes, play with speeds, vary loads, and explore. Be curious and have fun. Oh, AND, in the vein of my book, Habitual Strength, if you wanted to supercharge this, add in 10 minutes of carries every day too. 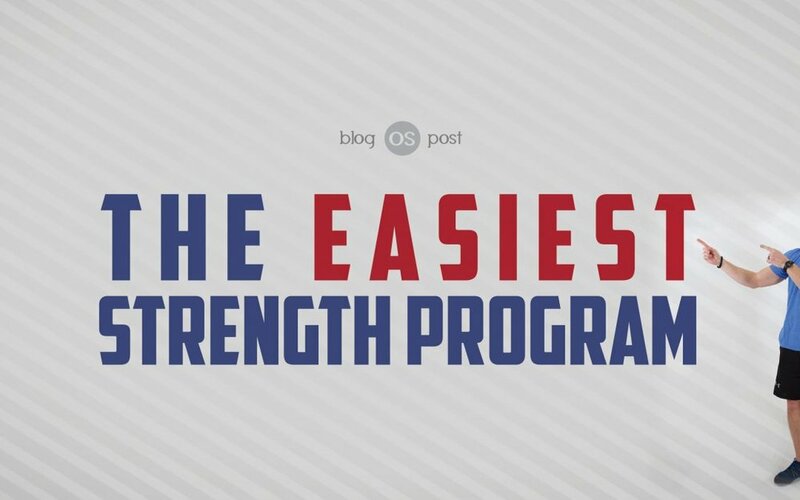 It is the Easiest Strength program, or the Habitually Easy Strength program. All total, it would take less than 30 minutes out of one’s day for 40 days and each day would leave them feeling fresh and invigorated. And of course, each day would build them up stronger than the day before, making them newer each day. This works. All you have to do is show up. …for 40 days. What change could could you experience? Posted on April 9, 2019 by Molly Kieland and tagged originalstrength pressreset fuelhouse.